I only have time for a quick hello today so, Hi! How are you? I hope that warmer weather and sunshine are making their way to your area. I've been juggling having my two boys home on separate spring breaks from college, scheduling the engineering for Phase 2 of the renovation here at the French Farmhouse as well as meetings with builders and architects (in addition to my "day job") so I'm afraid that I've been a little absent. Before I go, I wanted to take a moment to introduce you to a fabulous new place to shop in Downers Grove, Illinois. 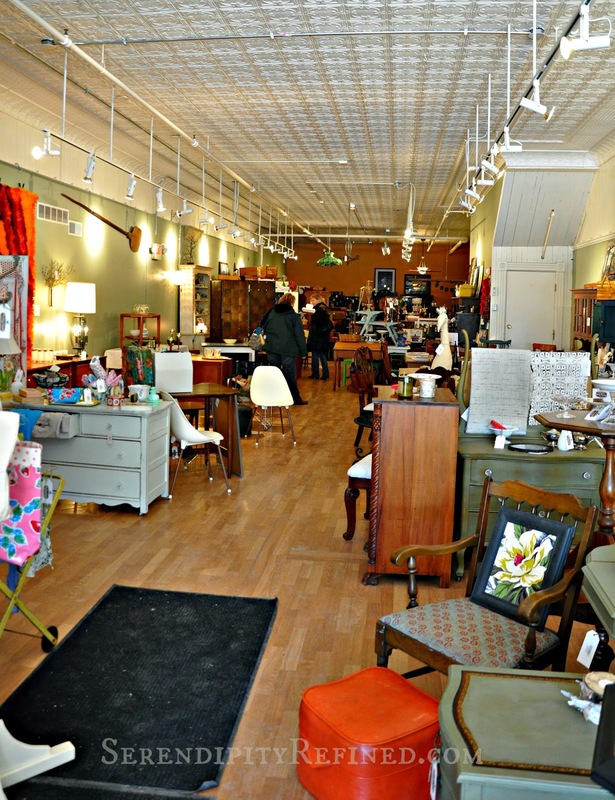 Now that the polar vortex has passed and I'm able to be outside for something other than shoveling, I've had the opportunity to visit some of my old (and new) favorite spots for reclaimed and repurposed furniture and accessories. 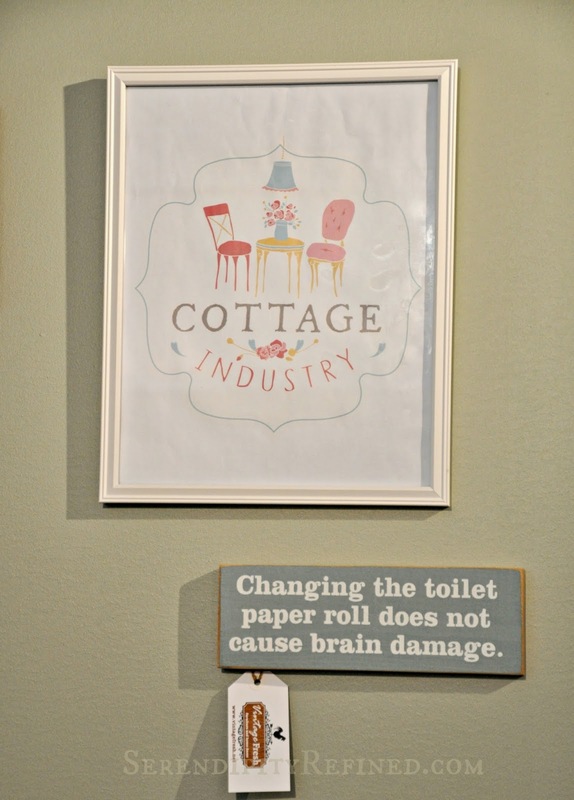 One of my new favorites is a cute shop that opened in February at 5122 Main Street in Downers Grove, IL. It's called Vintage Fresh (link to their FaceBook page here) and is run by two lovely gals named Kelly and Erin. 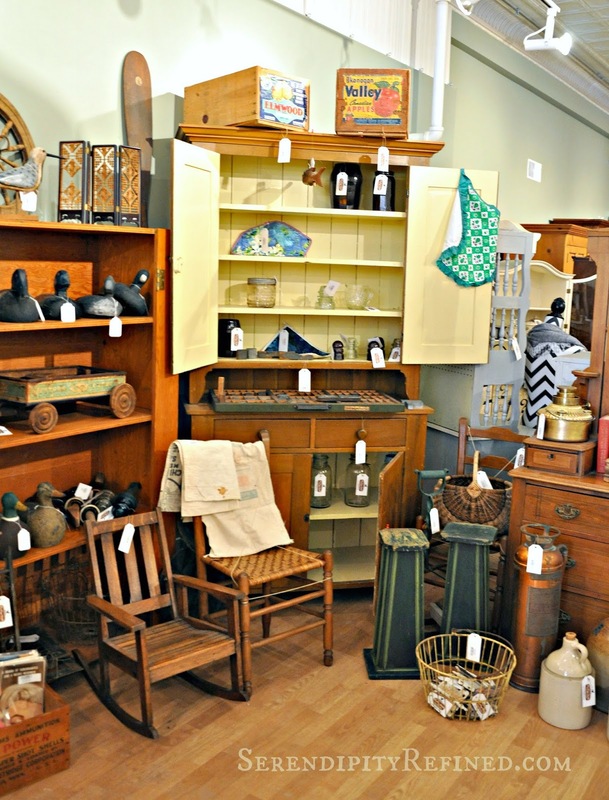 Vintage Fresh is a multi-vendor store that includes everything from painted furniture to home accessories to one of a kind items. 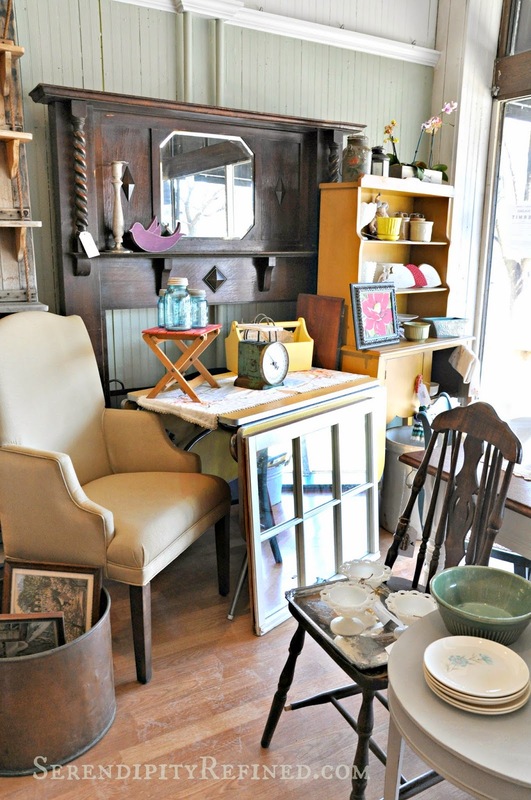 There are five vendors from Downers Grove who have a passion for finding and gathering mid century modern, primitive, vintage and cottage furniture and smalls in addition to having families and, like me, "day jobs". The shop continues to grow and add new things daily. They offer occasional classes on topics that are of interest to their customers. There was an organization class in February and new classes are being discussed on topics that range from painting furniture, to arranging urns, to holiday decorating! If you've got a topic that you'd like to learn about, let Kelly and Erin know! Who knows, later this summer or early fall, there may even a couple of classes taught by someone that you know...hint hint! Kelly and Erin have been friends for eighteen years and they've created not only a friendship but a wonderful partnership that has evolved into a store that's a combination of their talents and is as warm and friendly as they are. 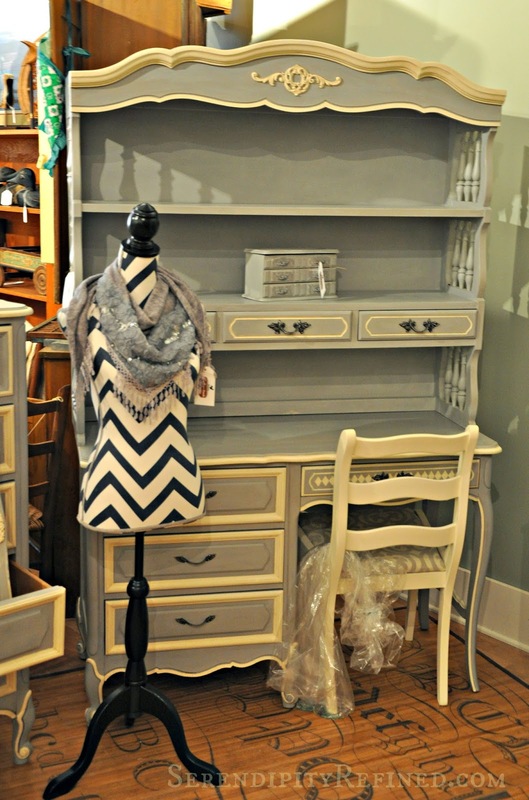 Kelly's passions are painting, sewing, drawing, and crafting while Erin loves to move things around and create vignettes as well as to gather and repurpose furniture and home decor. 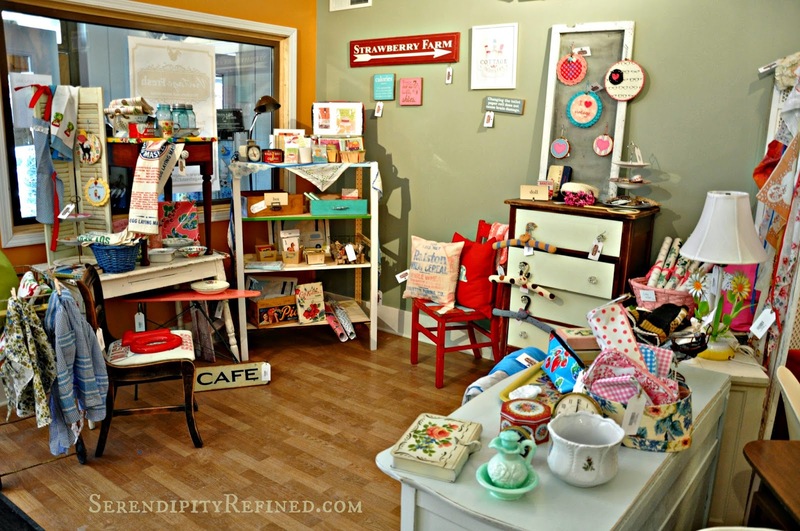 For both gals, collecting vintage is a life-long-love that has morphed into a fabulous new business that I was thrilled to discover is right in the heart of my new town! 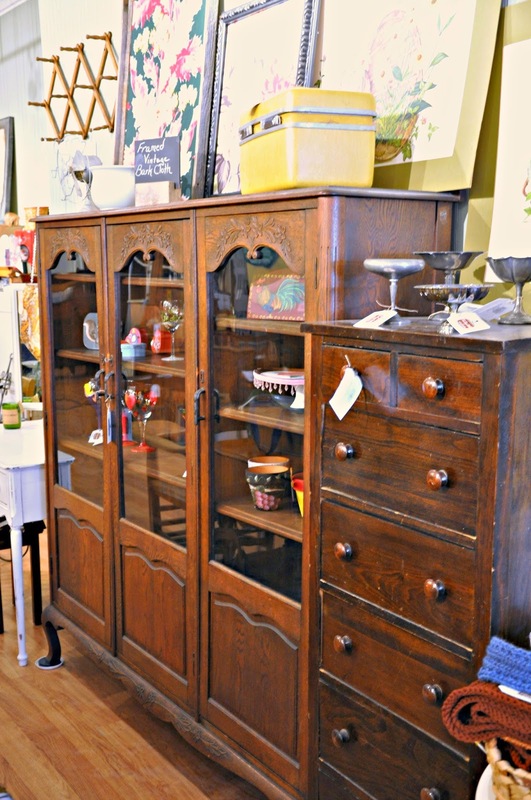 Another great service that Vintage Fresh offers is consignment for furniture and other items that fit within with the purpose of the shop! 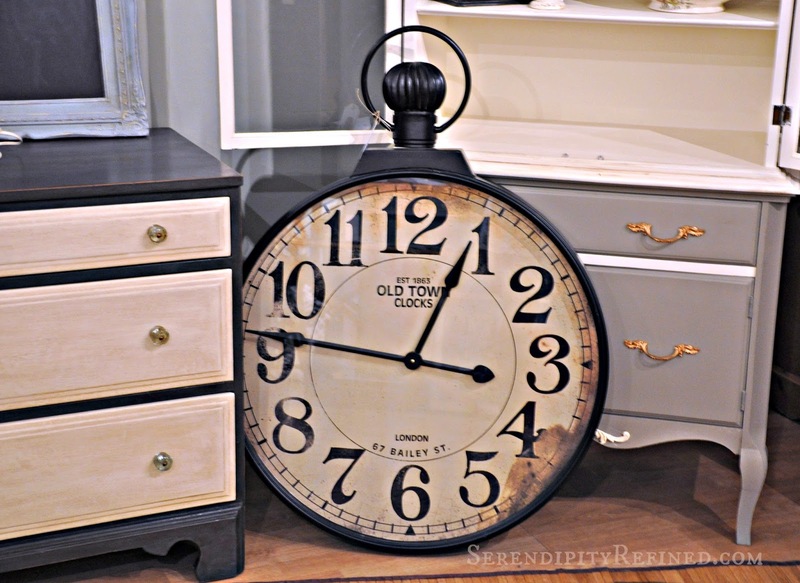 So, if you have furniture (new or vintage), home decor items or artwork that needs to find a new home, contact the store for more information. And, if you live in the western suburbs of Chicago and are in the Downers Grove area, make sure that you stop at Vintage Fresh and say hello! Or, now that spring is on the way, grab a girlfriend or two and come to the Chicago Suburbs for a day of vintage shopping. Look for me when you're there... I plan on becoming a regular!